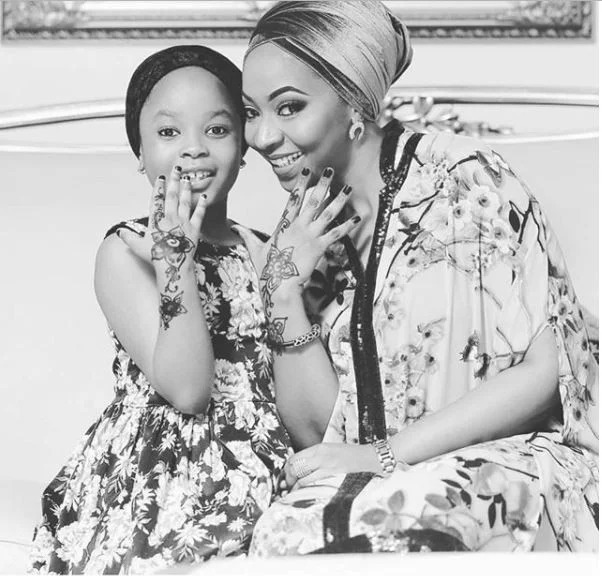 After a long legal battle between former Vice President, Atiku Abubakar's son Aminu Atiku and his ex wife Fatima Bolori over who would take custody of their two beautiful kids Amirah, 8, and Aamir Atiku, 7, yesterday being Wednesday the 10th of January, the Magistrate Court sitting in the Tinubu area of Lagos finally granted Fatima, the estranged wife of Aminu Atiku, full custody of their children. 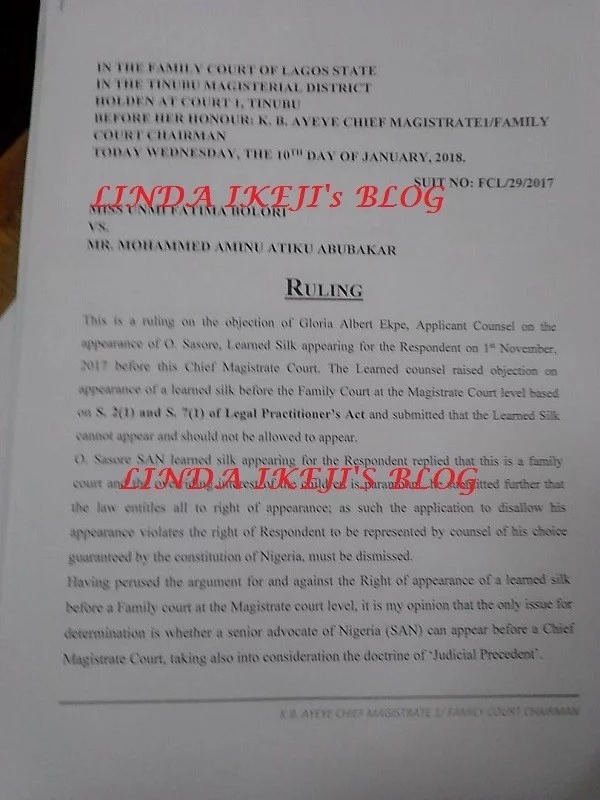 It was reported that Chief Magistrate K.B Ayeye ruled that the children Amirah Atiku and Aamir Atiku, should be with their mother Fatima Bolori. 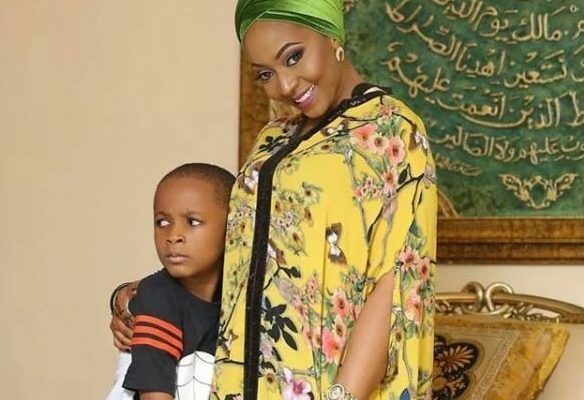 This verdict didn't go down well with Aminu as TheNation has reported that there was drama at the Tinubu Magistrate’s Court yesterday afternoon following the disappearance of Aamir Atiku, the 7-year-old son of Aminu Atiku and his ex-wife, Unmi Fatima Bolori. The boy’s mother claimed that Aminu, son of former Vice President Abubakar Atiku, snatched Aamir and drove off with him. The alleged incident occurred at 1:59pm, minutes after Aminu lost custody of his daughter Ameera Atiku, 9, and Aamir 7, to Bolori. Chief Magistrate Ayeye granted Bolori full custody of the children after Aminu failed to file a response to her application for child custody. 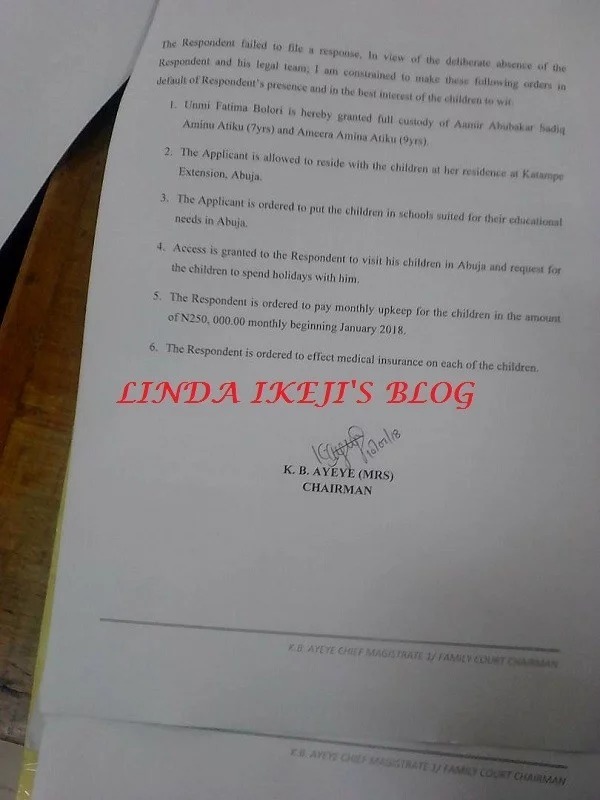 The court ordered Aminu to pay Bolori N250, 000 monthly for the upkeep of the children, beginning from this month. .
At about 1:45pm, he consulted with his lawyers and walked out of the courtroom. According to Bolori’s counsel Okoh, Aminu “snatched” his son from the mum, locked him in his car before driving off”. Fatima Bolori and her estranged husband Aminu Atiku got married in Borno State in 2007, enjoyed a five-year marriage before their union was dissolved by a Sharia Court in Maiduguri in 2011. 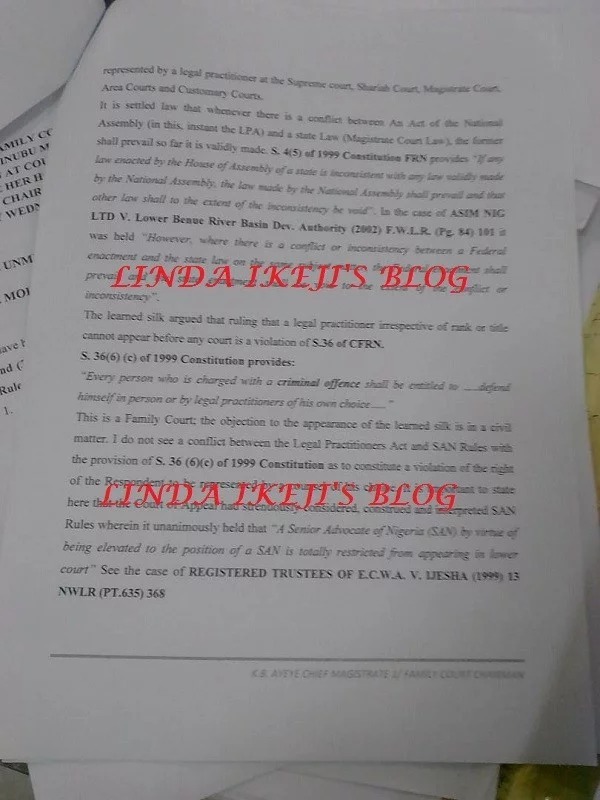 Last year, the ex-couple clashed at their daughter’s school in Greenwood school in Parkview Estate, Ikoyi over the custody of their children, which LIB exclusively covered and reported. 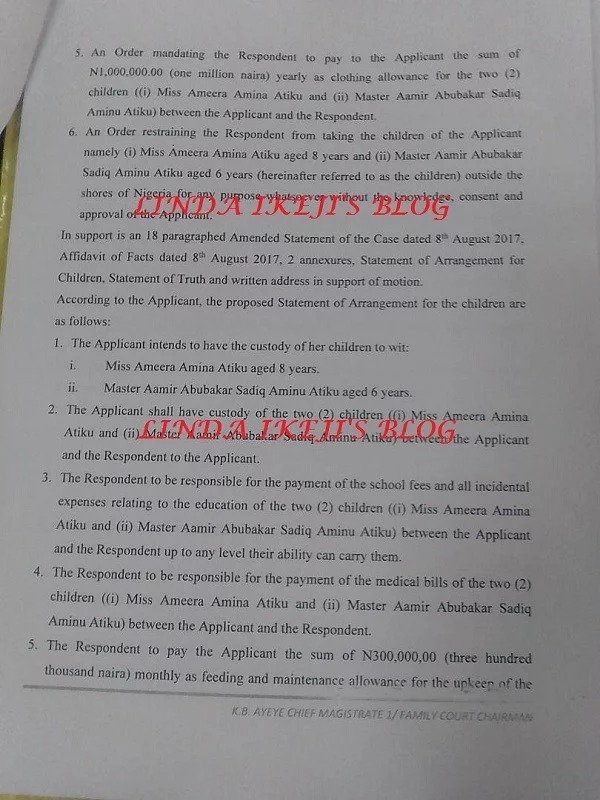 See below court documents showing full custody was granted to Unmi Fatima Bolori, the estranged wife of Mohammad Aminu Atiku which LIB exclusively obtained.